One piece of craft in your house can make a big difference to your home decoration. For instance this classic candlestick with the ring of hammered pearls around. 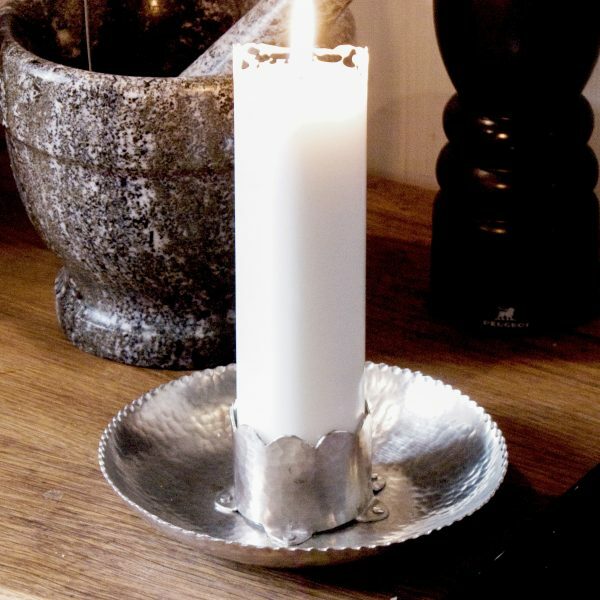 It's made of 100% pewter and measures ø 17 cm. You don't have to polish this product. Just wash it in lukewarm water when needed. 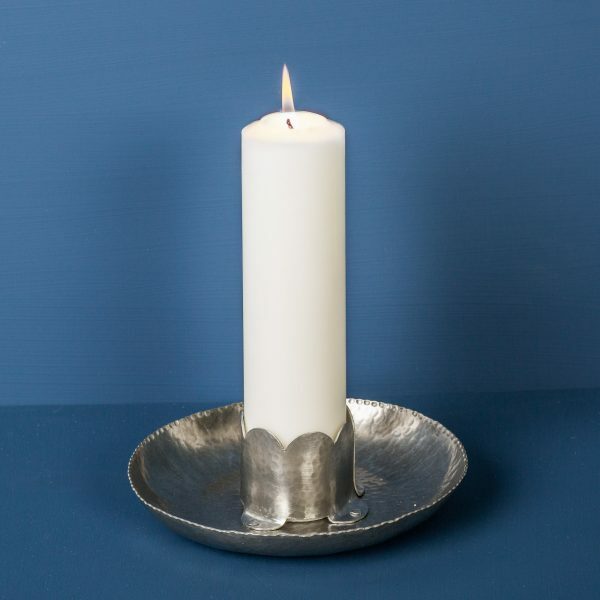 The candlestick requires a thicker candle, about ø 5 cm. When you buy this product, one candle is included.